The London Underground is one of the things that London is most famous for. The map is one of the most recognisable images on the planet, and everyone who’s ever been to London has at least one memory (whether it be good or bad) of something that happened to them on that famous Tube. It’s been there in one form or another for 151 years, and to lose it would be to lose London. Mark Mason has similar feelings towards the network and has now set himself a challenge: he will visit all 269 stations on the map on foot. That is, he’ll perform a tribute to the Underground by not using it. Honestly, it’s not quite as nutty as it sounds. 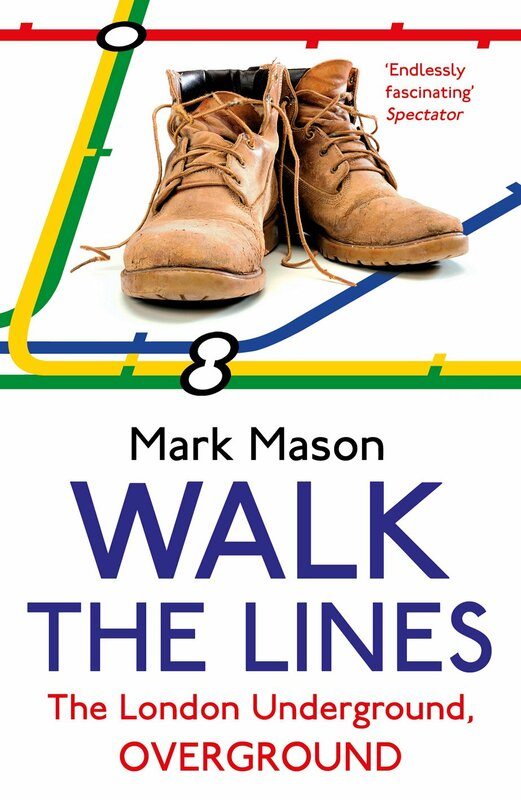 Starting with the Victoria line, Mason begins his journey northwards and, from the moment he takes that first step outside Brixton, he realises that there is no going back and he will now have to do them all. He must criss-cross London several times, and even leave the city on some occasions (the Metropoliton line ends in Buckinghamshire, and the Central lines slips out as far as Essex), but eventually he will have visited every single station. It’s an interesting concept, and a brilliant, slightly different look at one of the best cities in the world. Mason relearns his London map, saying that when you get on the Tube, it’s difficult to judge how close things are to each other. Hell, only this week did I realise that you could walk from Buckingham Palace to Covent Garden in no time at all, but because usually we use the Tube for most of our journeys, we disappear underground and then pop up again somewhere that seems entirely different. As we know, in Zone 1 in particular, it’s quicker to walk than take the Tube. The book is packed with endless trivia which is perfect for a nerd like me, who loves anything about the Tube. Obviously, everyone knows that Victoria is the busiest station on the network, the Jubilee is the only one to cross all the other lines, and that St John’s Wood is the only station that doesn’t contain any of the letters in the word “mackerel”, but there’s so much more. At Leytonstone station, there are mosaics dedicated to the life and works of Alfred Hitchcock. The deepest station is Hampstead, the shallowest lift is at Chalk Farm, and the least-used station is Roding Valley, getting fewer passengers passing through in a year than Victoria does in a day. Not only is there Tube trivia, but also general London trivia as well, as Mason visits the sights of the city, from St Paul’s and the Tower of London, to Cafe Diana and Tony Blair’s house, outside which stands a policeman with a sub-machine gun. Mason’s journey was undertaken in 2011, which doesn’t sound like very long ago, but the book just shows how quickly the city changes. At his time of writing, Thatcher is still alive, the Shard isn’t finished, and he muses on the coming of the Olympic Games, which for him are still a year away. It’s an ever-shifting city, and that’s what makes it so wonderful. I’m a fan of any love letter to London – I’ve written enough of my own – and this is a wonderful tribute to the city. It’s also quite inspirational. I’m no walker, but I’ve set myself a challenge off the back of this book. As today is my 26th birthday, I intend to now visit every single station on the network (excluding Overground, undecided on the DLR) before my next birthday. And to get us all in the mood, I found this song by Jay Foreman which lists every single station. Enjoy that, read the book, and I’ll see you on the Tube sometime!